You are here: Home / Christmas gifts / *hot* Walmart- Marvel Avengers Action Figures 8 pack only $15! 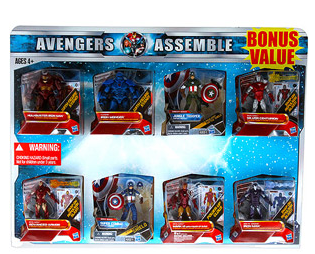 *hot* Walmart- Marvel Avengers Action Figures 8 pack only $15! Walmart has this 8 pack of Marvel Avengers Action Figures for just $15 right now! Choose ship to store for free shipping or you can get free shipping to your home on orders of $45+.